William "Bill" Joseph Cullpepper, 75, a former resident of The Dalles and a resident of Prineville (Oregon), died at a camping resort near LaPine (Oregon) on Friday, May 31, 2002. He was born June 7, 1926 in Eminence, Missouri to Lewis Bobson Culpepper and Nellie Alpha Hurt. 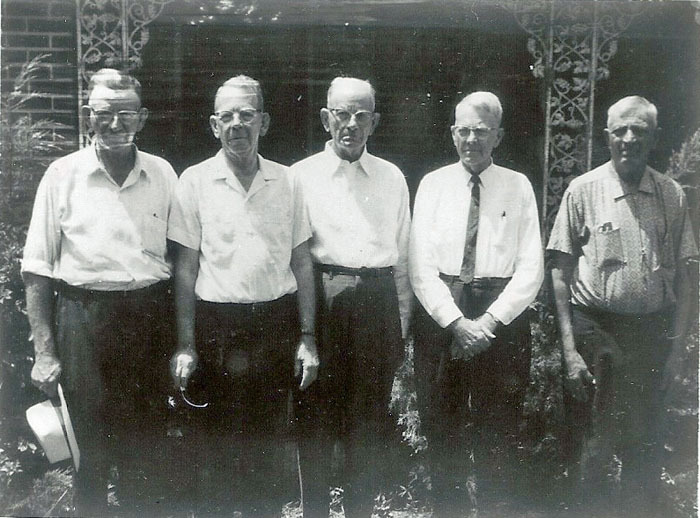 During the late 1930s the family moved to Sisters (Oregon) to obtain work in the timber industry. They then moved to Prineville in 1941 where he attended school at Crook County High. Like many of his generation, he did not graduate but chose to serve his country and fight during World War II. He was a Carpenter's Mate in the Navy and landed on Okinawa to help build an air base. Returning home after the war he married his high school sweetheart, Donna Jean, on October 27, 1946 in Prineville. 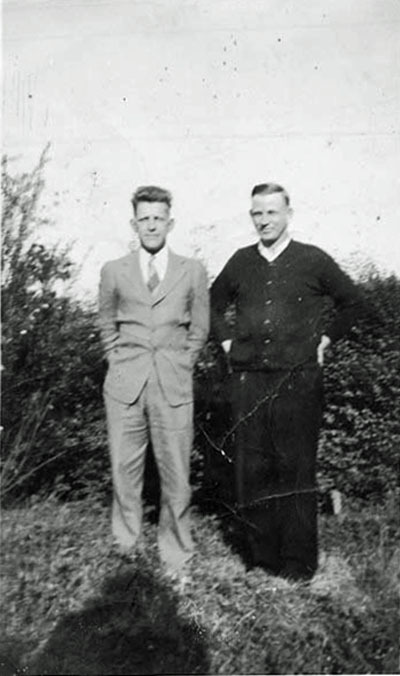 During the first years of their marriage he held many jobs, selling shoes, working as a butcher, cabinet maker and in construction. In 1949 he began work as a diesel mechanic. The family moved to The Dalles in 1957 where he worked for Empire and Stone Machinery and Halton Tractor as a mechanic and service manager. He retired in 1989 and they began traveling in the RV (recreational vehicle) around the U.S. and for the last 12 years have traveled seasonally between Mesa, Arizona and Oregon. He played football, basketball and baseball in high school and enjoyed ballroom dancing, snow skiing and in later life took up tennis. He enjoyed the mountains and lakes of Oregon and was an avid hunter and fisherman and enjoyed camping. He joined the Latter-day Saints Church in 1953. The family was sealed in the Mesa Arizona Temple in 1955. He was an active member of the church and held many positions, Sunday School teacher and Sunday School President on the ward and stake level. He was a member of the Branch Presidency in The Dalles and in his later years performed a great deal of Temple services. 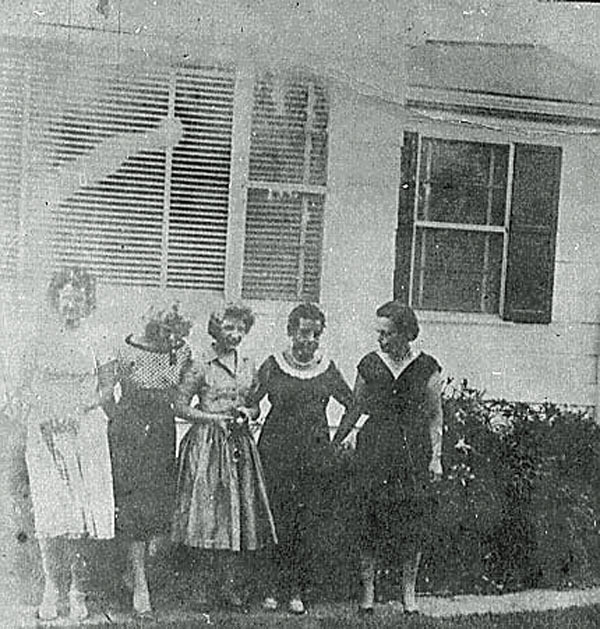 Survivors include his wife of 50 years, Donna, Prineville; sisters, Nadine Bartlett and Flossie Dill, both of Prineville; and Mildred Dill, Mattawa, Washington; children, JoAnn Haugen, Dallas (Oregon); Jerry Culpepper, Prineville; Jim Culpepper, Boise, Idaho; John Culpepper, Canby (Oregon); and Jan Williams, Hood River; 18 grandchildren and two great-grandchildren. The Dalles Chronicle, The Dalles, OR, http://www.thedalleschronicle.com/. Obituary of William Joseph Culpepper, June 5, 2002. E-mail written 3 Jan 1998 to Lew Griffin from Jan Marie Culpepper Williams. Note* 1939� In 1938, Damon H. and Bowding Jones divorced in Jackson Co., FL (certificate 5615). In 1939, Joseph Edward Payne and Bowding H. Jones married in Columbia Co., FL (Certificate 14675) and divorced that same year in Marion Co., FL (Certificate 9527). Then in 1940, Bowding Helms Payne and J. E. Payne remarried in Santa Rosa Co., FL (Certificate # 26405). Was this J.E. Payne Sr. or J. E. Payne Jr.? 21 Jul 1896, Bowling, AL. Walton Co., FL Marriages Vol 6, , 21 Jan 1917. J. P. Roberts, M.G. ; Witnesses: Emma Miller and Addie Lou Sampley. 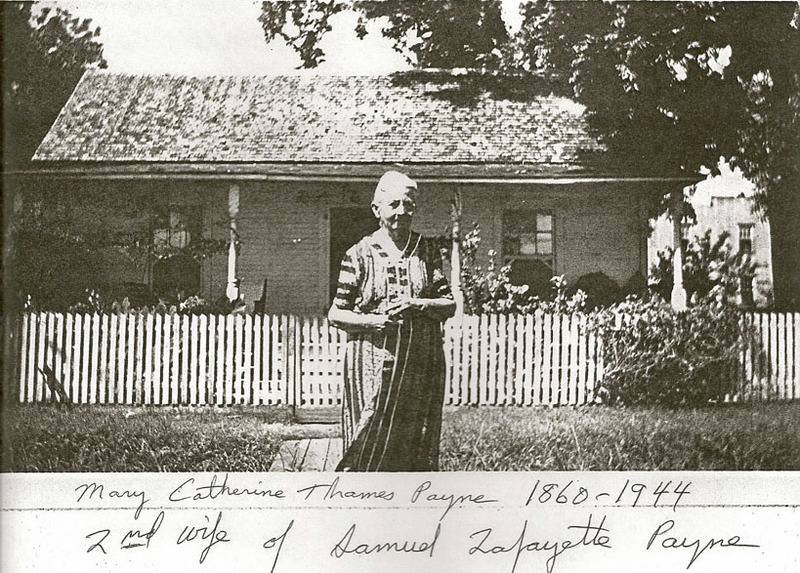 J. E. and Alma Howe Payne divorced in Jackson Co., FL in 1939, Vol-No: 127-4906. 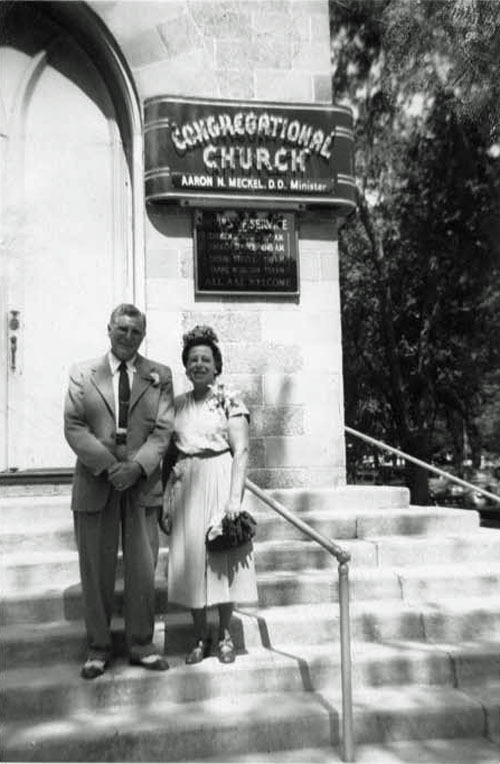 J. E. and Alma Payne divorced in Jackson Co., FL in 1940, Vol-No: 152-7453. J. E. Payne (re)married Alma Payne on 24 Sep 1941 in Washington Co., FL, Book L-410. Pensacola News Journal, Pensacola, FL. Obituary of Dr. Joseph E. Payne, 23 Oct 1985. Note 1939� In 1938, Damon H. and Bowding Jones divorced in Jackson Co., FL (certificate 5615). In 1939, Joseph Edward Payne and Bowding H. Jones married in Columbia Co., FL (Certificate 14675) and divorced that same year in Marion Co., FL (Certificate 9527). Then in 1940, Bowding Helms Payne and J. E. Payne remarried in Santa Rosa Co., FL (Certificate # 26405). Was this J.E. Payne Sr. or J. E. Payne Jr.? Biography* � Alma had a stormy marriage with Joe Payne, and reportedly they were divorced three times. Not long after her final divorce in 1946, Alma relocated to St. Petersburg, FL and spent the final years of her life in her home there at 3515 19th Street, North. "I would appreciate your opinion about the attached picture that is supposed to be my great-grandfather Sam Payne. 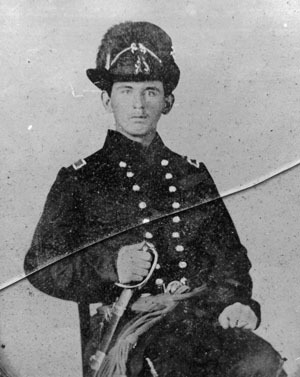 The very dark uniform strikes me as looking more like that of a Union officer, not a Confederate enlisted man. However, the age seems right as he was 26 when he enlisted. Your thoughts?" I can answer part of your question. The Florida pension application makes it clear that the soldier belonged to the 1st Georgia Confederate Regt., 2nd Co. "H". Veterans who witnessed this application, Duncan T. Sellers and John P. Gafford, both belonged to this command. The company was recruited in Butler County, Ala., during the summer of 1862. There are several units named 1st Georgia Regiment, so the title is important to distinguish Payne's command from the others. The soldier may have had this image taken before hostilities began. Authorized on Feb. 25, 1860, the Alabama Volunteer Corps was formed to defend the state from attacks such as the one on Harpers Ferry. Members wore uniforms nearly identical in cut, color and markings to the U.S. military, right down to eagles on their brass buttons. Five companies from Butler County offered their services to the Governor of Alabama and were accepted. It's possible this man was a member of one of them. Several variants of this uniform existed. As Alan states, the uniform is not that of a Confederate enlisted man, nor a Federal officer. He wears a dark coat similar to Federal uniform prior to the conflict, with slight diffences that point to him being in a state militia. His Hardee hat has a regulation ostrich plume and brass sideplate, yet the front insignia of sabers is not regulation. His belt plate is a militia style tongue & wreath, instead of the regulation rectangular model 1851 eagle plate. His shoulder straps are correct for a second lieutenant, as is the Foot Officer's model sword. Militia uniforms were often dark blue, yet some were black. Don't know if it is accurate, but I read someone estimated 60% of militias before the war wore gray. If so, quite a few Northern boys had to get their gray duds changed to blue to avoid our ancestors shootin' at 'em. Santa Rosa Co., FL CSA Pensions, Rootsweb: USGenWeb Archives. Precinct 1, Milton, Santa Rosa Co., FL, ED 57-1, Page 10A. Mary Payne, Head, F, W, 70, Wd, Md @ 21, AL, AL, AL. Bagdad Cemetery, Section 5, page 24, "Simeon Otis Howe, Infant son of Mr. and Mrs. J. R. Howe, 'Our loved one', Aug 12, 1905 - Aug 20, 1905." 1880 Census 1 Jun 1880� Melinda was listed as a daughter in Edwin Houston Otis's household on the 1880 Census at Santa Rosa Co., Florida. Linnie Howe, Head, F, W, 60, wid, md @ 20, FL, FL, FL. 1880 Census* 1 Jun 1880� Edwin was listed as the head of a family on the 1880 Census at Santa Rosa Co., Florida. Sylvester R. Otis, 1M0-4, 1M20-29, 1F0-4, 1F20-29, 1FSlv10-24. Santa Rosa County Clerk, Santa Rosa Co., FL Deeds, Volume A, 1850-1873 Genealogical Society of Utah , Repository: LDS Family History Library - Salt Lake City, Call No. Film 929,753. Nora Hudson, step-daughter, Aug 1873, 26, Sng, FL, AL, AL. Biography* � Joseph E. Hough was a baker and confectioner who lived in various parts of the country after he served in the War with Mexico. He enlisted at Mobile, AL, 25 May 1846 in Comp D, 1st AL Inf, and served until 27 May 1847 at New Orleans, LA. On 31 Oct 1846, the unit was at Camargo, on 31 Dec at Tampico, and 30 Apr 1847 at Jalapa. Capt Moore was Company Commander and Col Coffee was Regimental Commander. Joseph E. Hough frequently mentioned he was in the battle at Vera Cruz. He received bounty land for his service, and his widow applied for pension. She stated he stood 5 feet, 8 inches, had a light complexion, with blue eyes and dark hair. The Mexican War officially ended on 2 Feb 1848 with the signing of the Guadalupe Treaty, and only a few months earlier, gold had been first discovered in El Dorado Co. CA. By June 1848, the gold rush had started. During that winter mining ceased, for the most part, but in the Spring of 1849 the rush resumed and tens of thousands headed to California from all over the world. Presumably, Joseph went to California at this time, for the 1850 census shows him as age 31 and single, living on the South fork of the American River in El Dorado Co., CA: the heart of the gold rush area. He owned $600 of land. In San Francisco on 14 Dec 1853, he married Mary Elizabeth Bardóenes (11 July 1837 Sonora State, Mexico - 28 Feb 1903 prob. in FL, based on note from Knoxville, TN, Pension Agency.) She applied for pension 22 July 1889, still living at Bagdad in Santa Rosa Co, FL, where her husband had died. She made her mark to all papers. Capt. 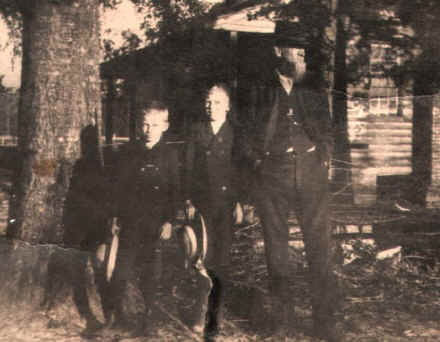 John B. Youngblood testified in her behalf that he and Joseph E. Hough had both been born in Edgefield Co, SC, and that they had both served together in the War with Mexico. Capt Youngblood had been Company Commander of Comp. H in the same regiment. Joseph E. Hough had apparently been a cook during the War, as Capt. Youngblood testified Joseph sometimes cooked for him. During the subsequent processing of the claim for pension, there was evidence that Mary E. had been previously md to one James Randall in Mexico, but that she had left him when she learned he already had a family in San Francisco. An investigator in San Francisco was unable to find any record of such a James Randall, and Mary E. Hough got her pension #12,374 for a few years. (Source: 1889 Santa Rosa Co, FL, Mary E. Hough pension application). Followup meesage on 22 Apr 1999 in which Max cited his source as Hough researcher, Granville W. Hough. Steven R. Butler, Alabama Volunteers in the Mexican War, 1846-1848: A History and Annotated Roster, Richardson, TX: S.R. Butler, 1996. Joseph Hough, 31, NC, Miner, $600 of real estate. Bagdad Cemetery, Section 5, page 23, "Jos. E. Hough, 'Blessed are the pure in heart for they shall see God', Dec 25, 1821 - Jul 18, 1885." Bagdad Cemetery, Section 5, page 24, "In lovng memory of Mary E. Bardoenes, wife of Jos. Hough, 'The fairest lilies droop at even tide. The sweetest roses fall from off their stems. The rarest things on earth cannot abide and we are passing away too away like them', Born in Sonora, died in Mobile, AL. Aged 67 years." p. 64. Cemetery Records of People born before 1850. John Payne, b 4 Aug 1798, d (blank). Cemetery #31. 1840 Census* 1 Jun 1840� John was listed as the head of a family on the 1840 Census on 1 Jun 1840 at Butler Co., Alabama. Early County Marriages, p. 109 (John Jackson Payne and Mary Frances Gafford, 20 Sep 1820). Real Estate Taxes for 1856, p. 172. "There was no record of his birth in Rhode Island, or any surrounding states. I am confident that he was born in Rhode Island, however, because the 1860 and 1870 Federal Census state his place of birth to be Rhode Island. Interestingly, the 1880 Federal Census states his place of birth to be Connecticut. I am sure this an error made by the informant who was probably his wife, Martha Ann Hillard, at the time. "On the 1885 Florida State Census , Sylvester R. Otis reports that his father was born in Rhode Island. This is the first correctly reported place of birth for his parents. "Going on the assumption that the birthplace of his father was Rhode Island, we examine the 1820 Federal Census of Otis families in Rhode Island, we find only one candidate for Sylvester's father - and that would be Jacob Otis, Jr. who lists himself, wife, and male child between the age of 10-15. This would be correct for Sylvester, who was 10 at the time of the census. Joseph Forsyth named the town, in 1842, Bagdad, after the Middle East renaissance city called Baghdad. The lumber mills of Bagdad, Florida, cut virgin Blackwater Swamp cypress and long leaf heart pine timber, which was shipped to ports in Europe, South America, Cuba and the East coast of the United States. The precious virgin timber logs just kept floating down the river as lumber jacks cut the trees and sent them South down the creeks and rivers of the Blackwater River watershed. This prized commodity made Bagdad the Prince of Wood. During the Civil War, Bagdad lost most of the mill buildings and dry docks but after the war, they were rebuilt and she quickly regained the fame and glory of delivering priceless lumber worldwide. At the end of the 19th Century, Bagdad was comparable to Pensacola in commerce and its main company, the E. E. Simpson and Company lumber mill, was the largest exporter and the largest company in the State of Florida. Santa Rosa County became the center of commerce for the state, but as the amount of lumber slowly decreased so did business. In 1929, the Press Gazette published an article stating, “There is at least 100 years of lumber left.” Ten years later it was all gone. In 1939 the last lumber mill in Bagdad closed. In 1941 World War II began and shortly thereafter most families had either moved north into Alabama or south into Pensacola looking for work. During its prime, the town had around 60 different businesses, many churches and a good school, but 1939 marked the end of Bagdad’s renaissance. Almost all the businesses were related directly or indirectly to lumber, so when the logs stopped coming down the river, narcosis began. A deep sleep fell on the little town. Pensacola & Milton took up the mantle of growth. Both had diversified into many industries other than lumber, such as agriculture, shipping, and military exploits. Bagdad, the once center of opportunity, began a slow arduous decline going from disregard to decay to almost oblivion followed by being simply forgotten by most people. Much should be said for a few visionary people who have realized Bagdad’s historical value. It processes a very important era of not just Florida or Santa Rosa County history but also American history. After all, much of the lumber produced by the Bagdad lumber mills were shipped to ports in Europe, South America, Cuba and the East coast of the USA creating, next to cotton, the country’s most precious exported commodity. A very valuable slice of our past lies in the soil of Bagdad. The Spirit of the past both, post-bellum and antebellum, is again rising. Through the efforts of dedicated people like the Bagdad Village Preservation Association and other faithful residents, the world again is noticing the beautiful lady. For example, in 2003, 16 reporters came to Bagdad to do articles and 4 were from European nations. Events in 2003 like the Blackwater Heritage Tour, the Beaches to Woodlands Tour, and the much publicized Civil War writings on the wall of the Thompson House are just a few of the many venues directing people back to the past, back to the Prince of Wood, back to Bagdad. Sylvester Otis Lineage, Susan N. Cline, Cline Research Services, 13 Hoxsie Road, West Kingston, RI 02892; e-mail address, to Warren Culpepper, 10 Nov 2011. Jacob Otis Junior, 1M10-15, 1M16-25, 1F16-25. Doc #9304, Accession # FL0200_.224. Jacob Otis died 11 Jul 1856, age 59. Shows "Kin 2, Delana Munroe." Doc #13789, Accession # FL0270_.472.